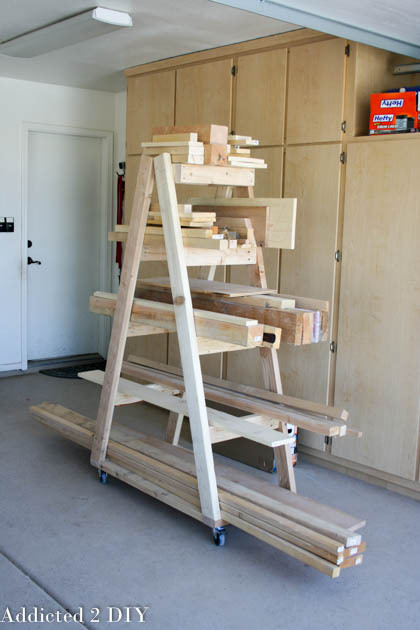 Finding a neat and organized way to store your lumber can be a challenge. 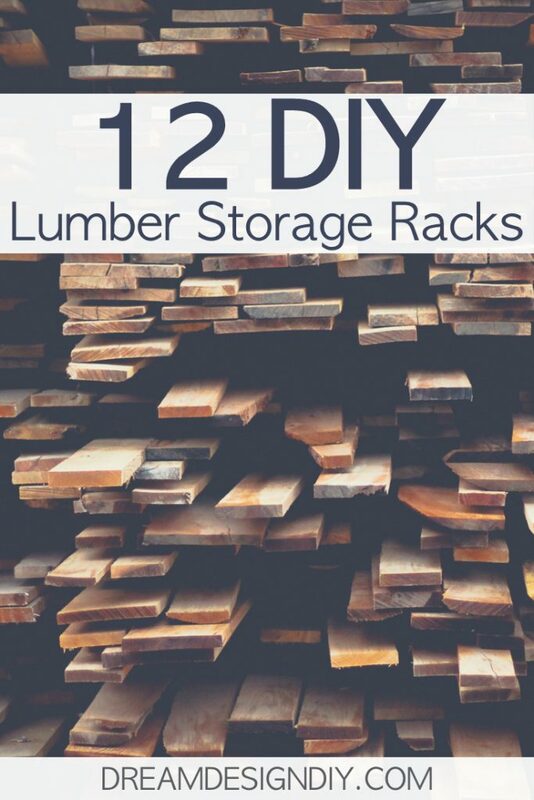 Here are several options to help you build the perfect lumber storage rack for your space. 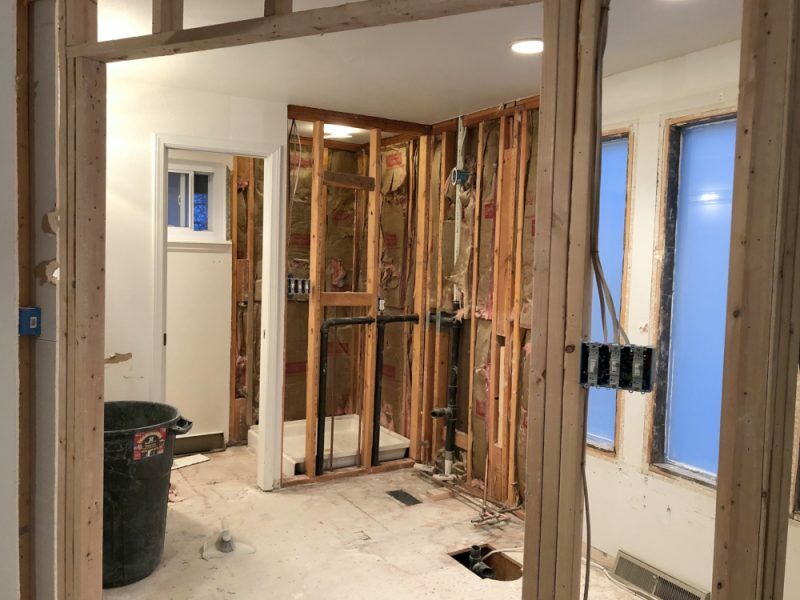 If you have worked with wood for even a short amount of time then you can relate to the ever growing wood pile that builds with each completed project. Having a lumber storage solution will help to keep the area clean, organized, safe and frustration free. 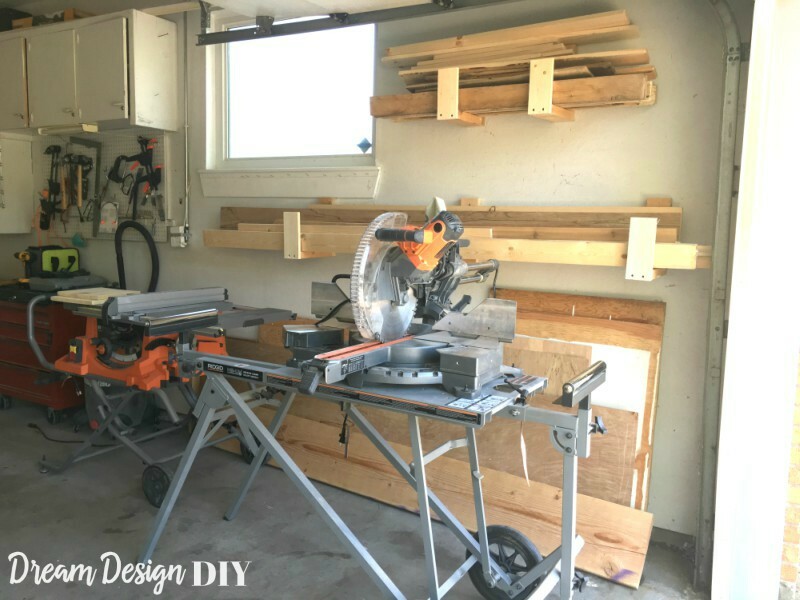 Just as it is essential to having a space to work on projects having an area to store lumber is also essential when it comes to completing your workshop space. 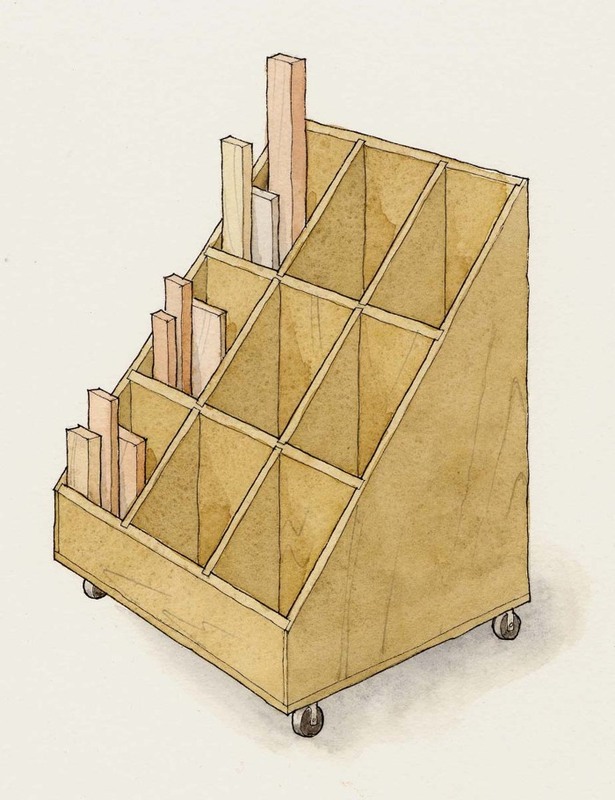 Lumber storage racks come in many different shapes, sizes and costs to fit many different storage needs and budgets. You can find FREE options, upcycle/recycle an item or build one from scratch. This post will show you several lumber storage options for solving your wood pile problems but before getting started there are three things to consider. 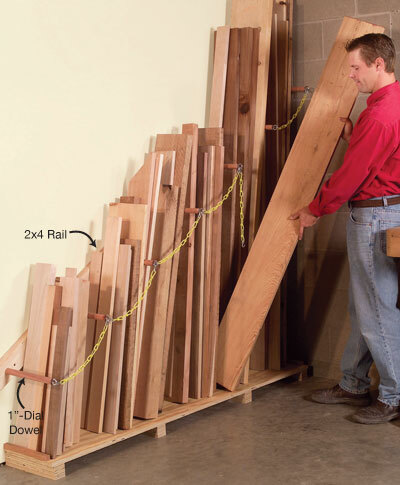 When it comes to the size of your lumber storage rack measure the exact dimensions for your allowable space. The amount of space you have will determine the size of your storage unit despite your dreams for a bigger build. Consider several options in your research: where is there available space in a garage or workshop, can it be mounted to the wall or ceiling, have it fixed in one space or do you want wheels for easy movement. Consider the direction of the boards do they need to be stored vertical or horizontal. 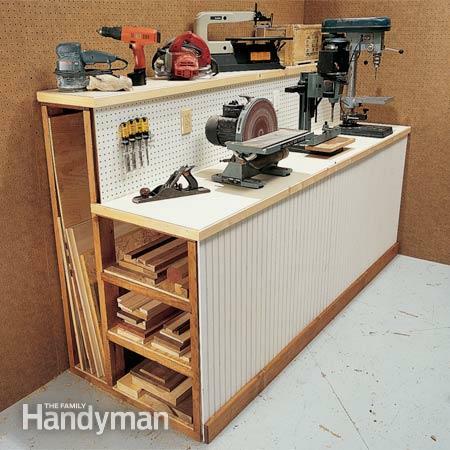 Consider a multifunctional build one that can be used to not only store wood, but to store other items or double as a workbench to complete projects. 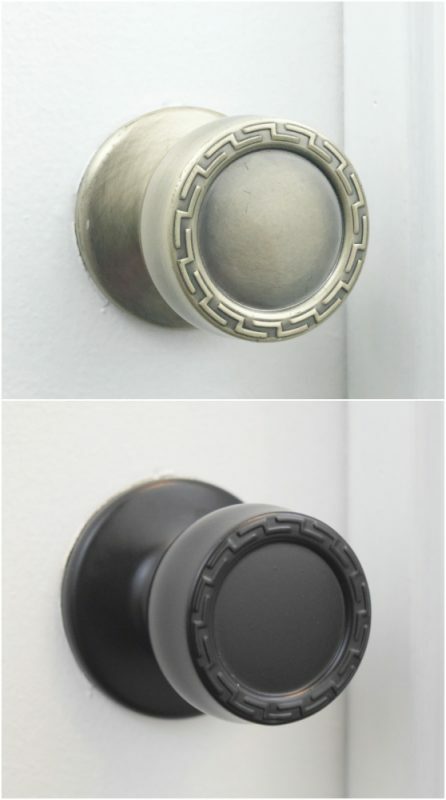 Due to the beauty of DIY you can make it to fit your space and your preferences. Most often as the size of your storage unit increases so does the cost. However if you are trying to keep costs low don’t let that deter you from your dreams of a storage unit. Get creative and think outside the box. Utilize FREE items from sites such as Craig’s List, Offer Up, Facebook Marketplace and Next Door. Upcycle/recycle an item like a metal rack or pallets (you will see below) and make it into a storage unit appropriate for wood. Think about how much, the type and the size of lumber you plan to store. Do you tend to use lots of plywood or more boards, or both? Different types of wood will require different ways to store them. Lets start up and work our way down. Since storing wood can take up a lot of space there is some precious real estate that can be utilized on the ceiling. 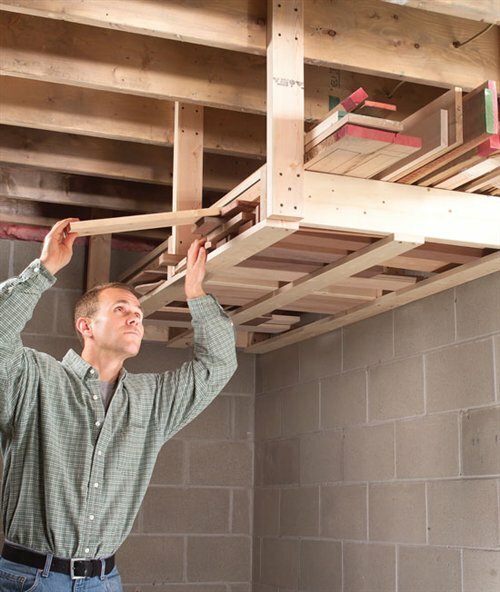 Here are two great lumber storage racks that utilize the ceiling instead of taking up any valuable floor or wall space. 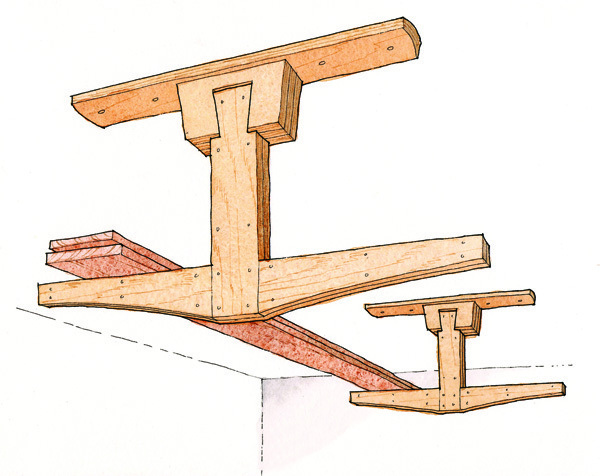 The design of this Overhead Lumber Rack from Popular Woodworking is quite intuitive where the long boards are stored parallel with the rack while the short boards are stored perpendicular. 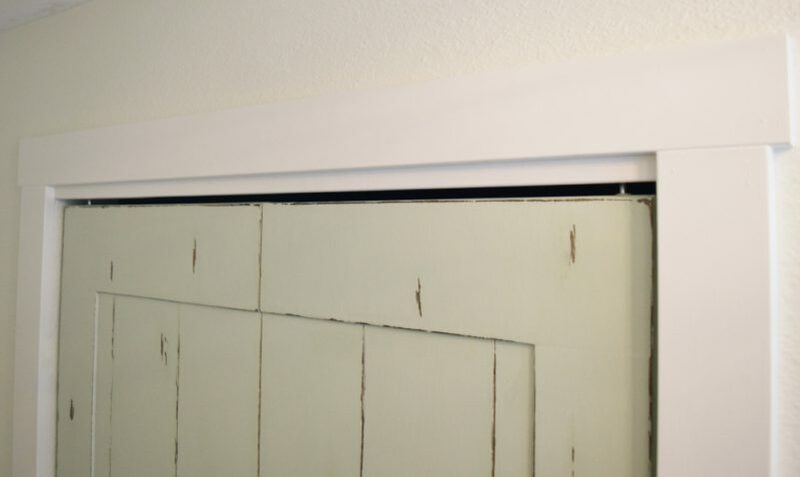 This makes for easy access and allowable storage for a variety of sized boards. A nice affordable build at around $20. If the ceiling isn’t your thing consider utilizing wall space. Even a small amount of wall space can allow enough room for some wood storage. 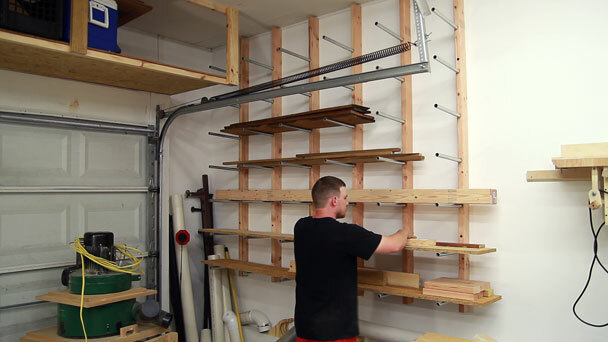 If you can’t find something to upcycle/recycle and you have the wall space and or height then consider this Conduit Lumber Rack from Jay’s Custom Creations. Conduit is strong enough to hold lumber and 1/2 the price as iron pipe making it a good storage solution option. 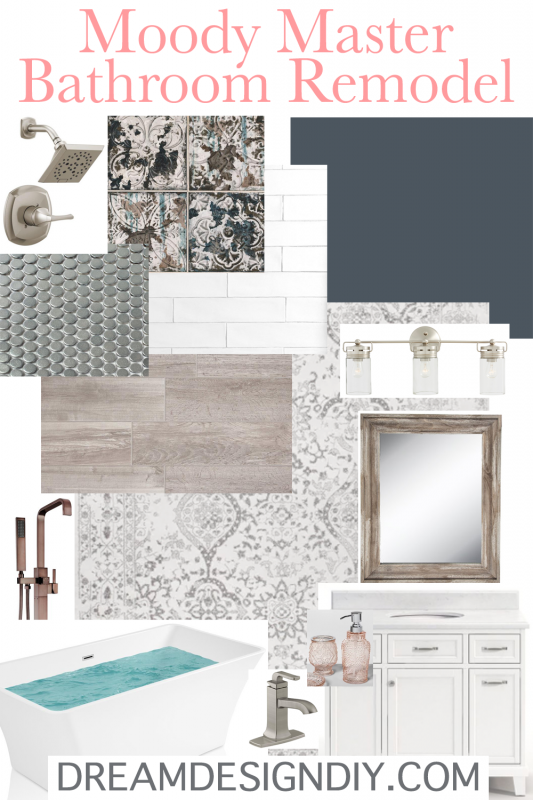 Now we move away from the wall to storage solutions that are mobile with several different innovative designs to fit a variety of tastes and preferences. 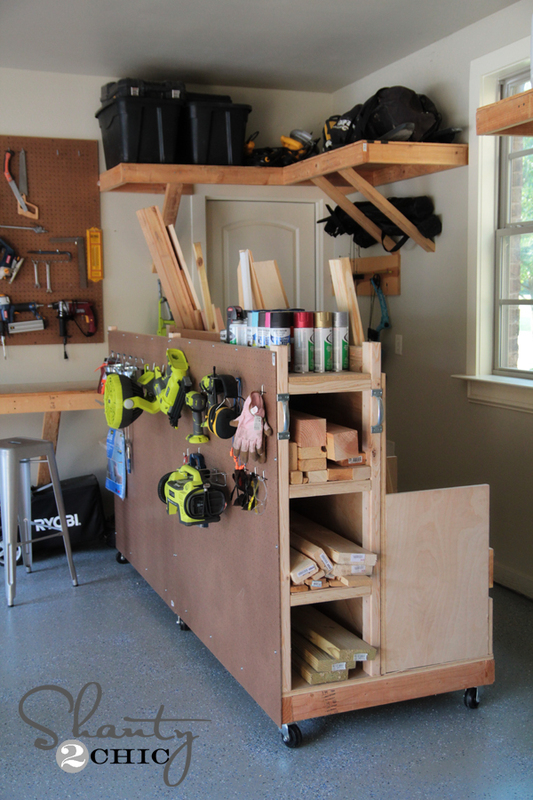 This Smart Cart from Fine Woodworking can hold lots of leftover boards in many sizes. Its design allows for easy “storing and sorting” making it quick and easy to glance at your inventory and grab a particular size board you have in mind. The wheels are a plus as well. 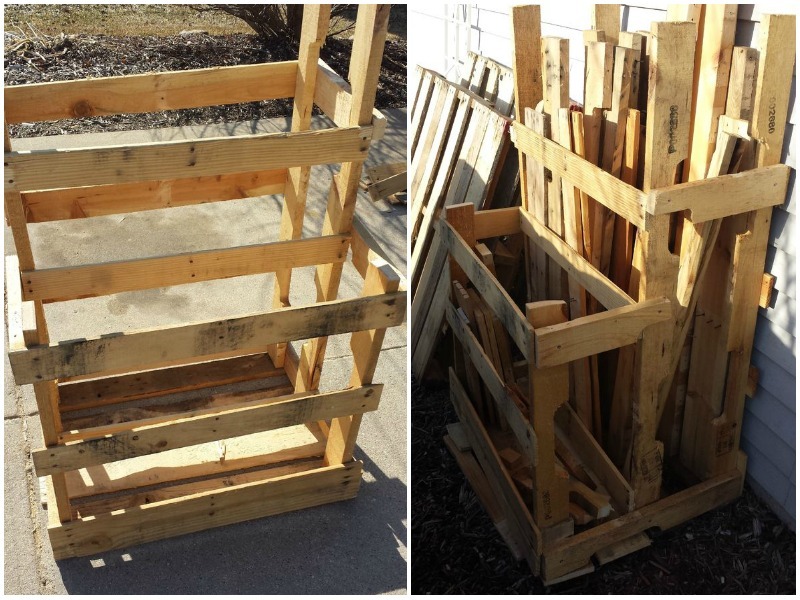 This DIY Lumber Cart from Shanty 2 Chic gets mega points for being multipurpose. 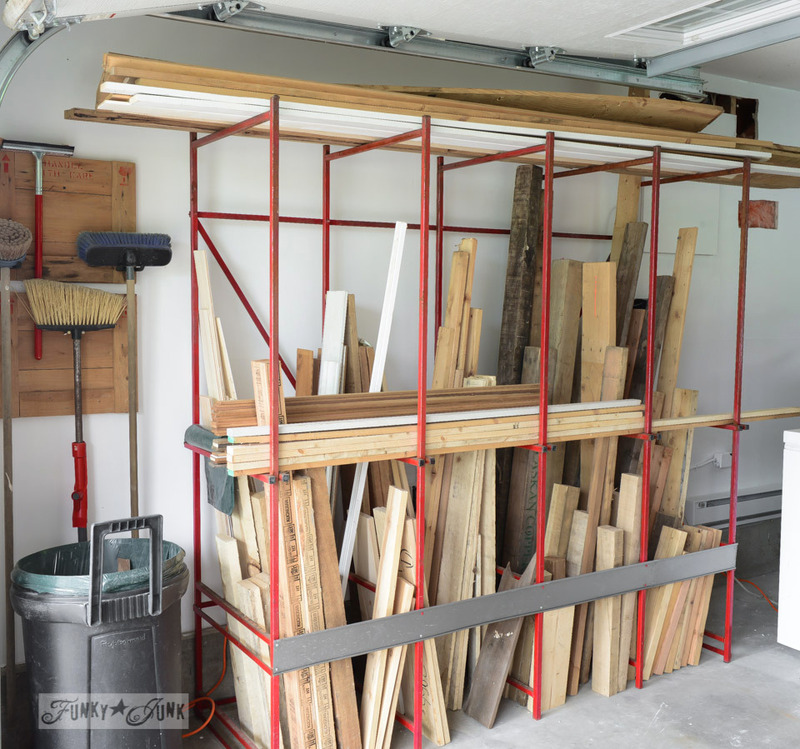 Not only is it mobile and stores wood both vertical and horizontal but it also stores other garage items and power tools as well. It is a mobile workstation. 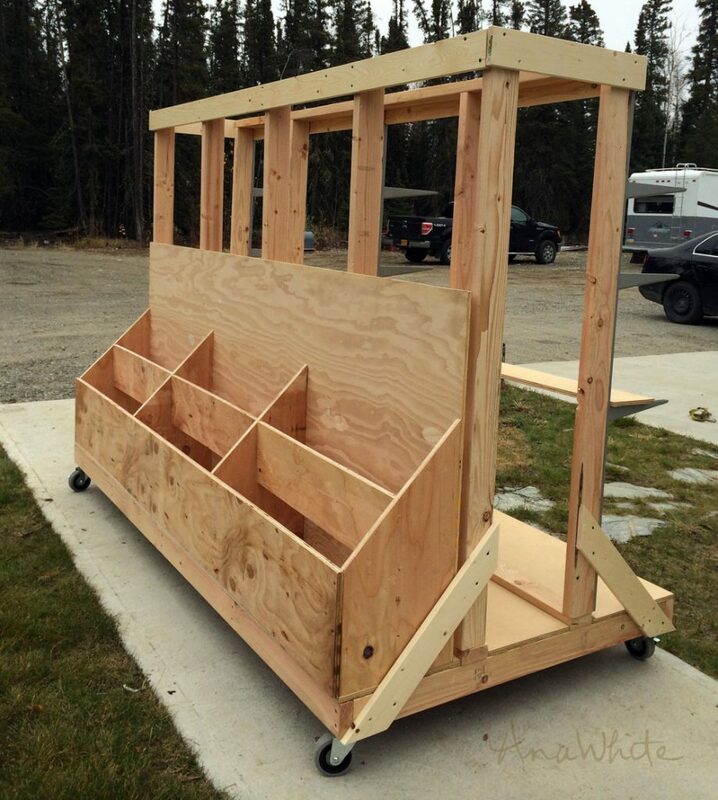 This Ultimate Lumber and Plywood Storage Cart from Ana White is for the ultimate wood hoarder storer. There is storage for both boards and plywood offering options for several different sizes of lumber. The wheels make it easy to move around your workspace when needed. I hope this post has helped you come up with some ideas for your lumber storage needs.